The fur blanket was my favourite accessory for this year’s Winter holidays. A little cuddle I provided myself with during my moments of relaxation, between a walk and another through the wonderful places I have been at with Matteo. 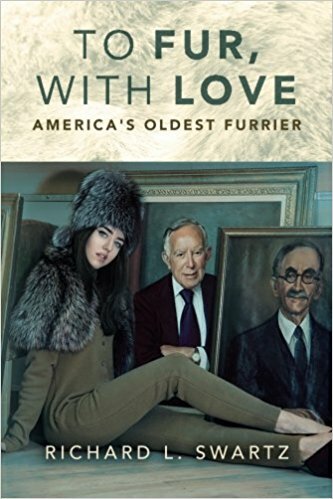 everything that surrounds her continuously inspires her and helps her creating wonderful masterpieces such as the real fur blanket you can see in my photos. 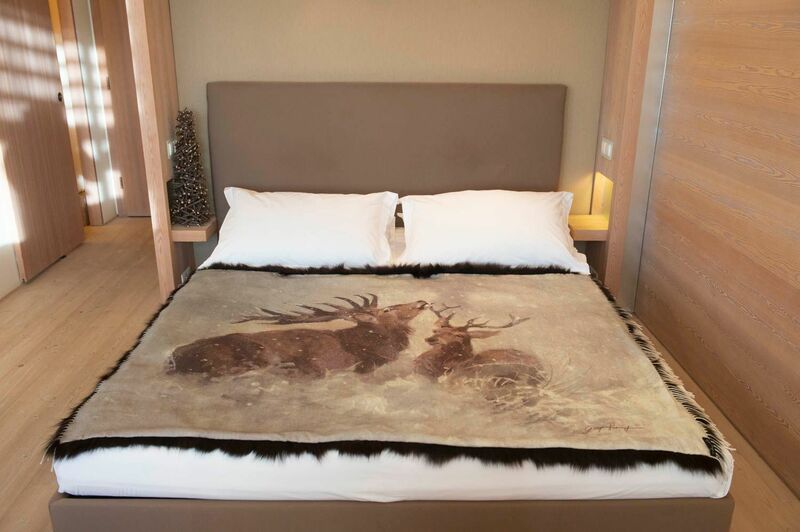 The fur blanket I chose for myself is made of real fox on one side, while the other side is in cashmere, hand painted by Giusy. A true masterpiece. 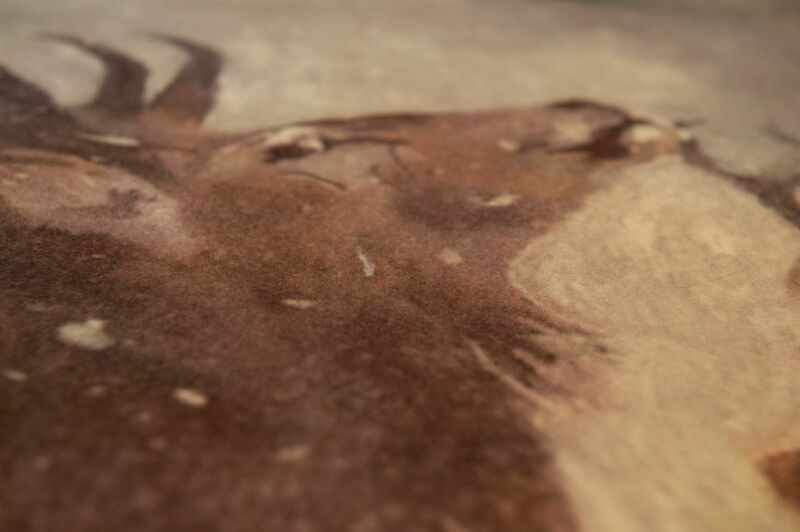 Since she was a child, Giusy has always loved animals as the favourite subjects of her drawings. A passion that has grown over the years, to the point that she became totally devoted to art and she even learnt all the different painting techniques. Hers are really “true-to-life” paintings. When you look at the subjects painted by her, it almost seems to be in the presence of the subject itself, in flesh and blood! In addition to the artwork painted on canvas, it is possible to admire her extraordinary skills also applied to other kinds of supports: bowls, plates, ceramics of Bassano – all strictly handmade. In addition to all this, her beautiful fur blankets – fully customizable. Did I manage to intrigue you, both on her and on the possibility of buying a fur blanket for yourself? At this point, you are thinking of buying one, but you do not know where to find it and at what price? 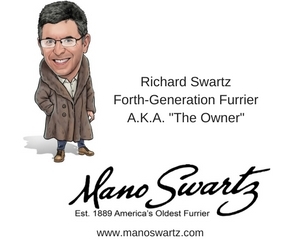 First of all, unfortunately, I must confirm that finding online a fur blanket that is well made and made with high-quality leather is not easy. Just try by typing on Google “fur blanket” or “real fur blanket”. You will find very little options or nothing at all, or at least no options it is worth spending on. 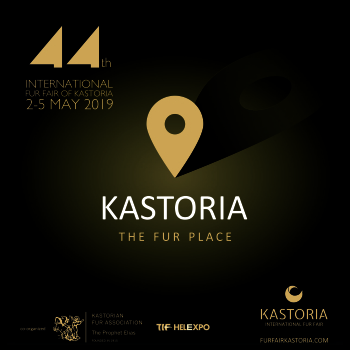 So, now that you have decided to make this investment, you want to find a fur blanket with a unique style and possibly even customizable … Giusy is your perfect solution to reach this goal! Instead of the usual blanket made of simple leathers, I suggest you browse through the many options available thanks to this fantastic artist. On her website you can see some of her beautiful artworks. But, really, you have no idea of how many things you can create with her help! This rex fur blanket, for example? Magnificent. 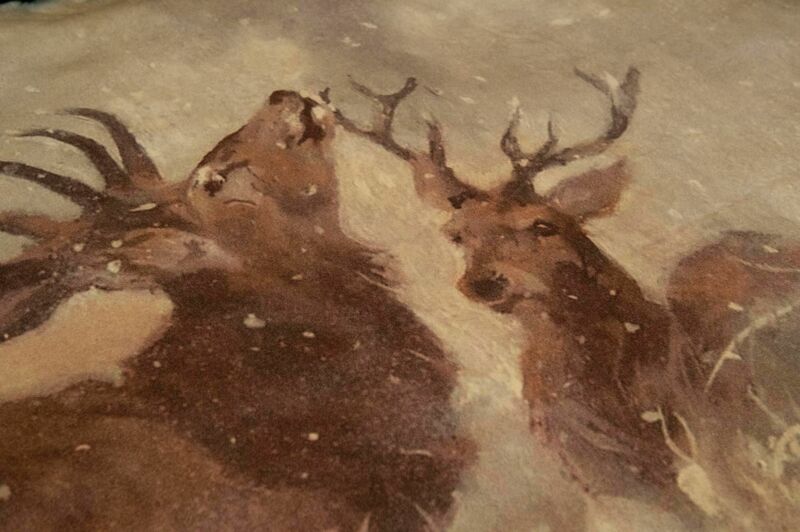 Made of pure virgin wool, with rex fur and personalized with a beautiful painting that portrays two majestic and proud deers, painted against a dreamy Winter landscape. I also love this other blanket, made with real fox fur. I really do not know which one to choose! And I would have in mind so many other subjects to be painted by the talented Giusy, and with which customizing so many fur blankets to fill my Winter days with. 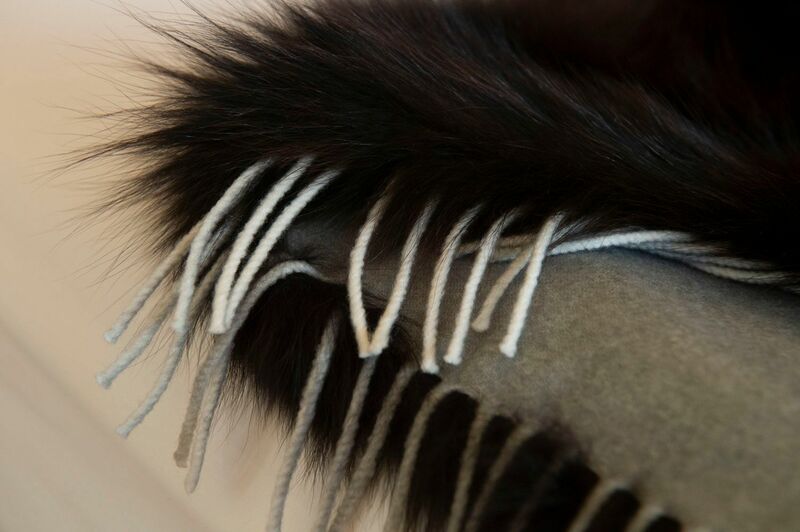 The range and varieties of leathers and furs among which to choose to make a blanket are just so many. I know that deciding which one to use, among the many options available, may not be simple, but I can give you some advice. 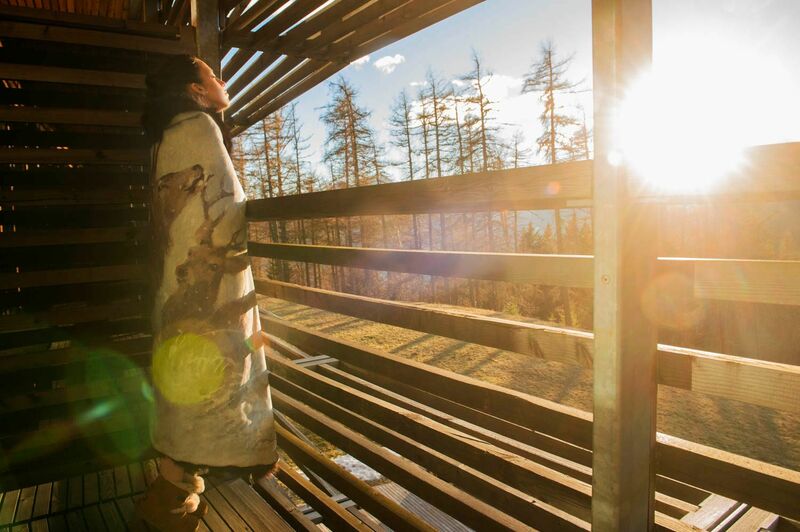 To give you an example, a fur blanket made of lapin is a great choice because the lapin is one of the most sustainable skins along with the Orylag. Orylag! It is the rabbit of excellence! The lapin costs a little less than the Orylag, which is a noble rabbit and has even softer hair than that of the chinchilla. In addition to that, the Orylag is also extremely appreciated by French top chefs: many of them use it as the main ingredient to countless, extraordinary culinary creations. So here’s another great tip for your fur blanket! 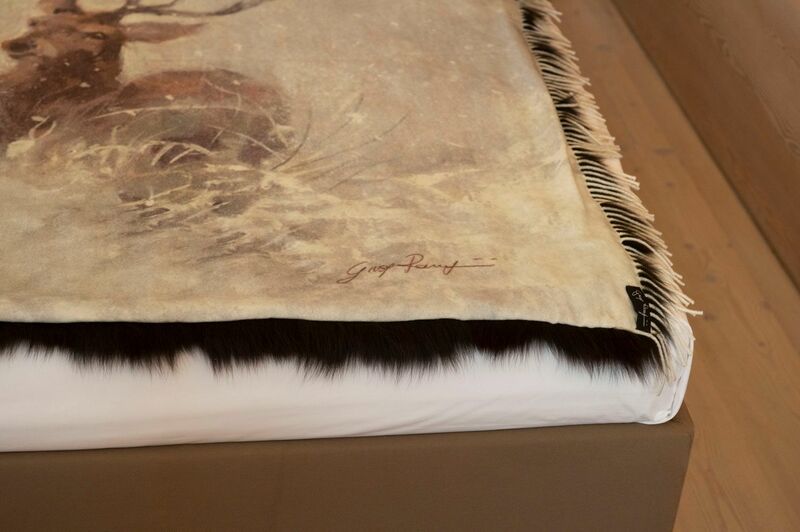 If you love rabbit fur, you can ask Giusy to create for you a fur blanket in rabbit or in Orylag, making it more personal with the painting that you want. But how much can purchase like this cost? 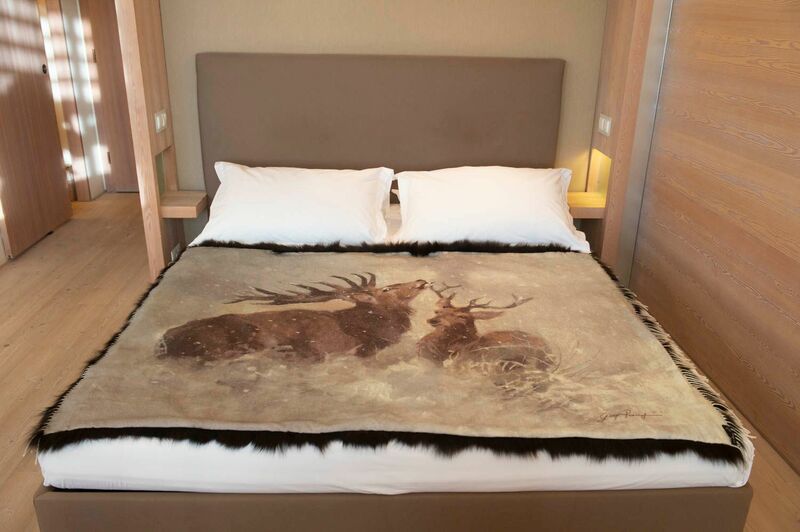 For example, a 140x180cm blanket can be around 2,500 euros. 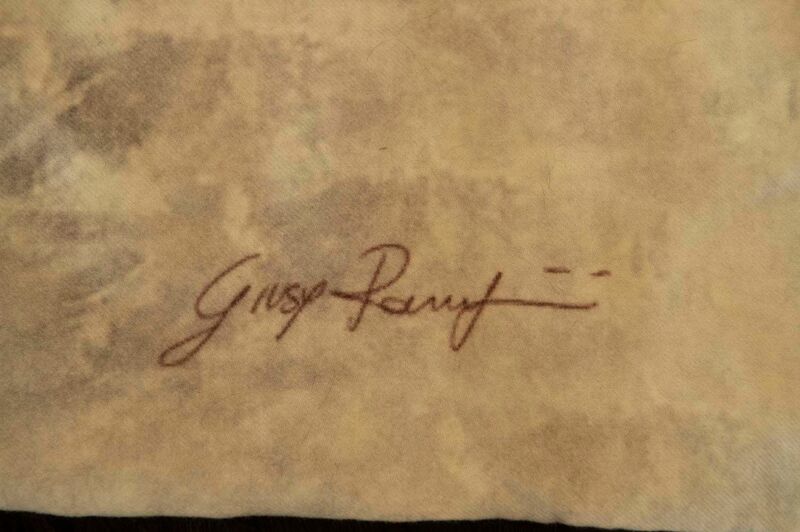 If you have specific needs and requirements and want to commission a fur blanket to Giusy, you can contact her here: she will be happy to listen to all your requests and fulfil your most creative wishes. The advantage of addressing an artist is just that: it is a truly priceless privilege, that of being able to discuss and decide even the smallest detail with the precious support of a person who is not only competent but who creates with the heart. If you are thinking of buying a faux fur blanket, instead, I suggest you stop right away. I would never recommend it to anyone, for the reasons I wrote in this post. To possess something unique, authentic and sustainable, and that in addition to that, something that only you can have… I assure you that it is something that will double your own satisfaction and pleasure, and you will be even happier to use it, store it and pass it on. If you still have any doubts or questions, please write to me at any time. I will help you solve any curiosity on the fur blanket.